Worm bins and books alike inspire curiosity! During the summer, Get HYPE Philly! set up compost bins at neighborhood libraries, filling them up with scraps of raw fruits and vegetables, soil and worms. 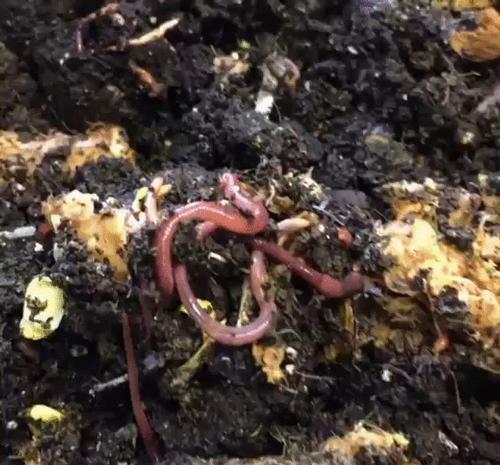 Led by our urban agriculture educator, Rachel Weisberg, we watched our slimy, wiggly worms writhe around in dirt, and gradually break down foods and other compostable materials. 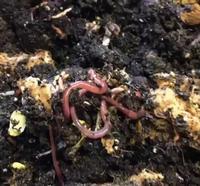 Creating a worm bin at the Free Library helps youth witness composting and decomposition firsthand. Sometimes, youth cringed at the worms, but eventually, our Get HYPE Philly! participants found themselves holding worms, and learning more about how worms have a positive effect on the environment. 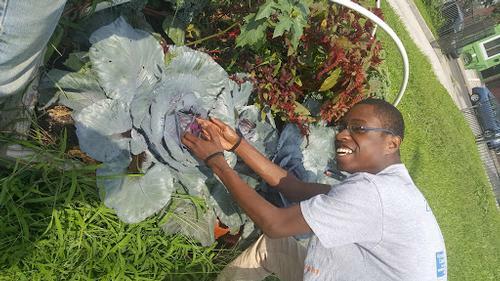 Additionally, youth were intrigued by the value compost has for the plants they grow and eat. Teen leader, Tianna, linked those benefits to the plants growing on the west-facing wall of the Ramonita G. de Rodriguez Library and our culinary program. Quick to find a way for her peers to make a similar connection, Tianna suggested, "We should do a chips and dip party using basil from [our] garden to make pesto." While we focused on engaging youth with our Get HYPE Philly! compost programs, Free Library staff and patrons of all ages were intrigued. Our friends at Author Events even posted our squirmy worms on their Instagram. This fall, Get HYPE Philly! is hosting events at several neighborhood libraries. Teens ages 12-18 are welcome to join us! Remember, it’s free and there’s food! Follow Us @FLPGetHYPE on Facebook, Instagram and Twitter! Get HYPE Philly! youth were intrigued by the value compost has for the plants they grow and eat. Awesome!!!! Glad youths are coming together and learning more about the environment and even engaging with worms (yuk) lol. Hopefully doing this will get more youth engaging and maybe other states can start doing more with youths in their community. Well done!!!!! Well written article and a great program too! NYC could benefit from this free program! Very innovative AND there's free food 😱!